Hazelwell Station was built in 1903 and closed in 1941 for, as was the case of the other stations on this line, 'wartime economy measures' and never reopened. Since 1941, the Camp Hill Line itself has been used for goods only trains - a function which it still serves to this day. 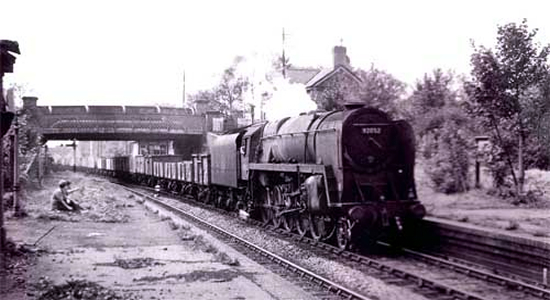 Above we see the Station in 1961 looking back towards Lifford. The line was originally built by the Birmingham and Gloucester Railway but this station was opened by the Midland Railway who had taken over the B & G. The photograph above shows a derelict Hazelwell Station in 1961 looking towards Cartland Road overbridge(photo: M.Mensing). The photograph above-left is taken in the present day from almost the same position as the two boys 'trainspotting' in the picture at the top of this page: the platforms long-since gone. Above-right, we are looking down to the trackbed from a higher position to the left of the previous photograph's angle. 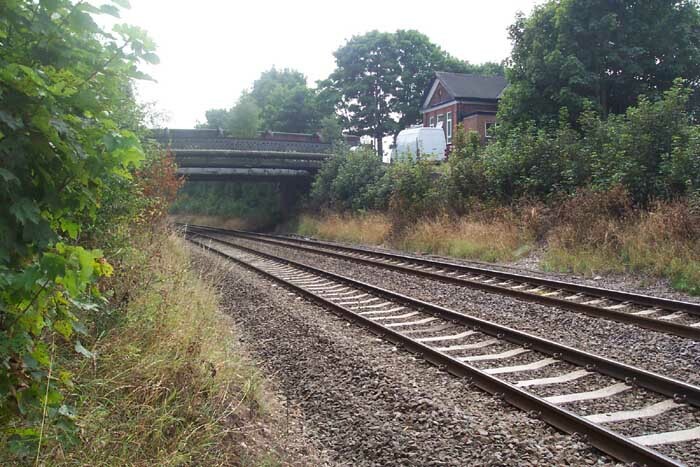 Part of a platform can clearly be discerned under the Cartland Road bridge but nothing else to signify the previous existence of a railway station. 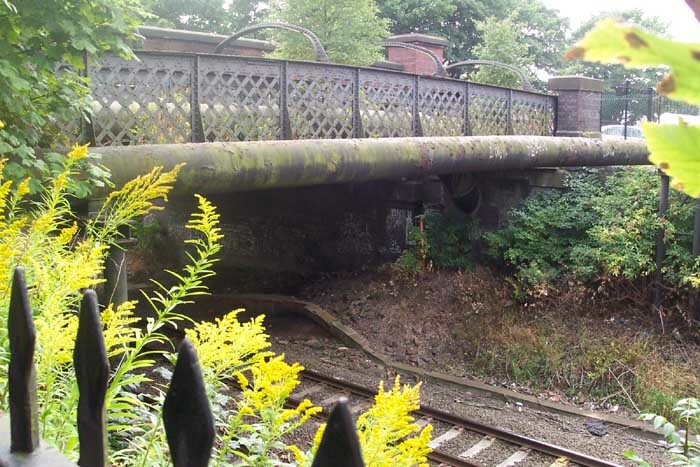 It is also worth noting the footbridge over the railway with its lattice-work sides: the footbridge is now closed to pedestrians. 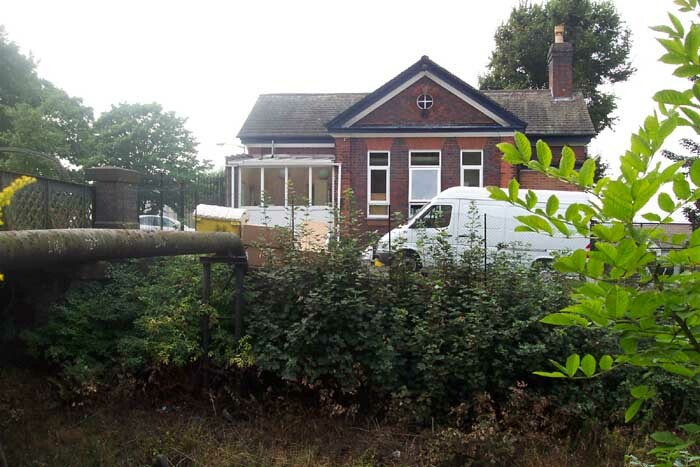 Above-left we are looking from the same spot as the previous photograph but this time across the railway cutting: the building across the lines used to be the station house as evidenced if you examine the building in the upper-right of the photograph at the top of this page: it is now a bathroom furniture showroom. 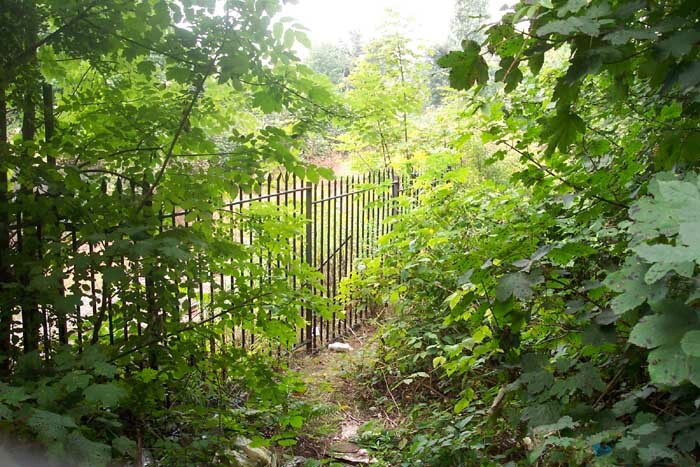 Above-right is the overgrown path leading to the 'down platform' of the station from Cartland Road which provided the vantage point for the photographs above.